obtain the difference equation (the result of the work). The resulting expression: In this step, we have obtained an expression which fully describes the behavior of our RC circuit. But instead of a simple dependence of output signal from the input one, we got something terrible at first glance, because we have the derivative of the output signal with respect to time. In general, our main task is to answer the following question: “What should be done with the input signal to get the output one? Should we multiply, summarise, move in time, or should we do something else? “. Looks like it is the key question. 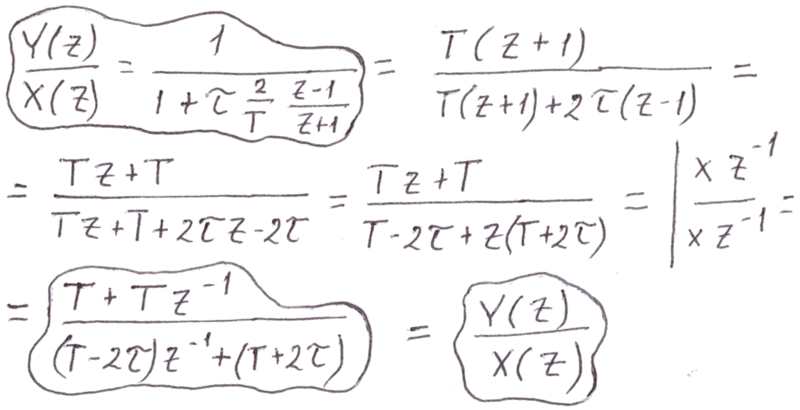 All of the following actions related to the mathematical transformations and it will be focused on the fact that you can get a clear expression, which shows the dependence of the output signal from the input. In other words, we need to solve a differential equation which was obtained before. 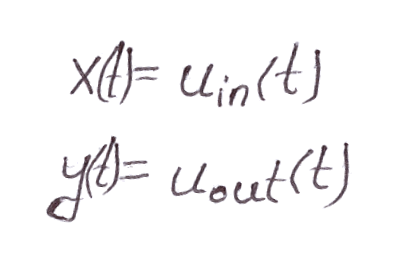 Of course, it is possible to solve differential equation using multiple number of methods, but one of my knowledge – universal, is the method of using the Laplace transform. In math this method is called as method of operational calculus. What is it? I especially will not write formulas and try to explain with one’s fingers by means of gestures. Suppose we have a function (in discrete form it can be represented, for example, as a sequence of numbers, the waveform). 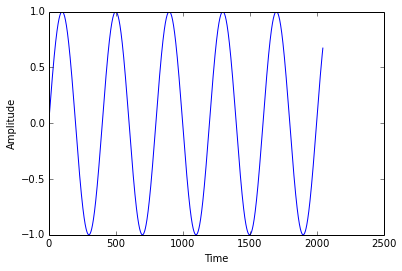 So, under the Laplace transform understand the decomposition of the initial function into a sum of damped, undamped and increasing oscillating exponents (it is a sin to say that they are just sine wave signals). 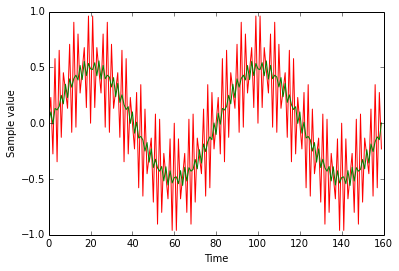 Here’s what they look like: Some of the readers may hold some parallels with the Fourier transform. 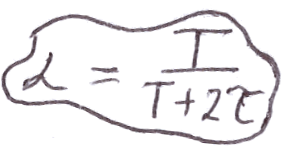 Indeed, the Fourier transform is a special case for the Laplace transform at a constant (undamped) exponent. This picture shows the initial red signal (useful signal + noise) and filtered signal marked by green color. As you can see, the filtering is sufficient enough! P.P.S. Note that the frequency scale transformation «frequency-prewrapping» was intentionally missed by me, so as not to scare the reader. Sure this kind of digital filter has a right to exist. If to compare the filter which uses «frequency-prewrapping» and other one, which doesn’t use it the response will be similar in the frequency range from 0 to the sampling frequency divided by 8 (approximate value is taken from my memory!). More details about the «frequency-prewrapping» I was going to write, and will write in the articles posted in future!